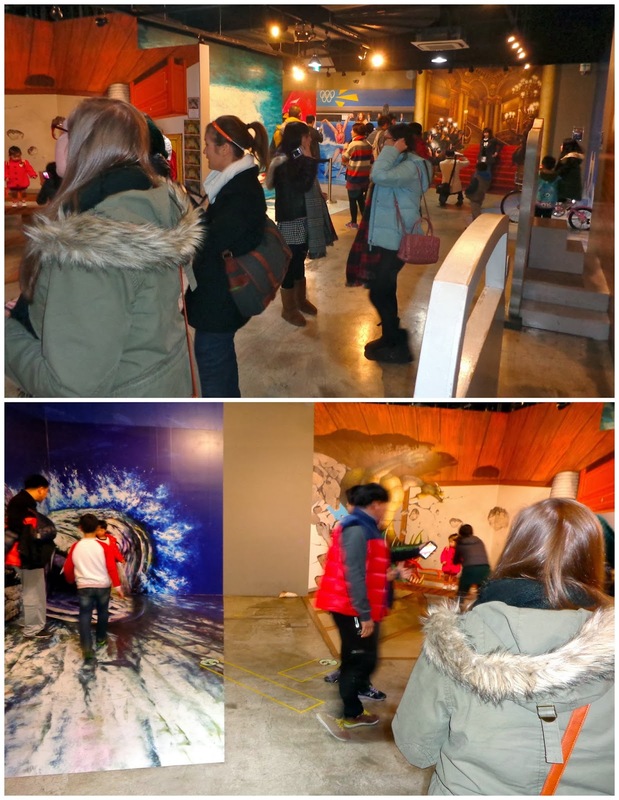 Yesterday Abby, Anne, and I went to the Trick Eye Museum in Seoul, which was on my Korea List that I posted last month. 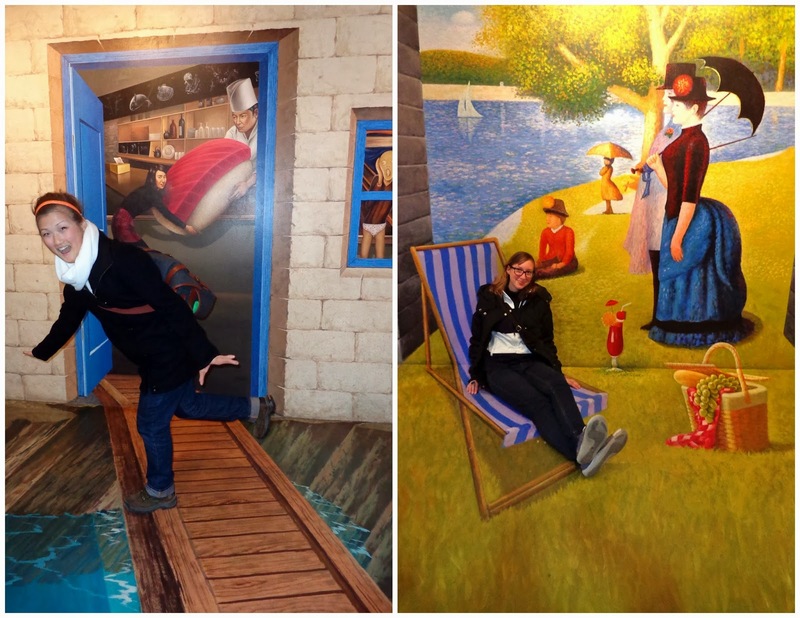 It's an interactive "museum" where 2D paintings on the walls/floors are made to look 3D, and where visitors can be part of the art. 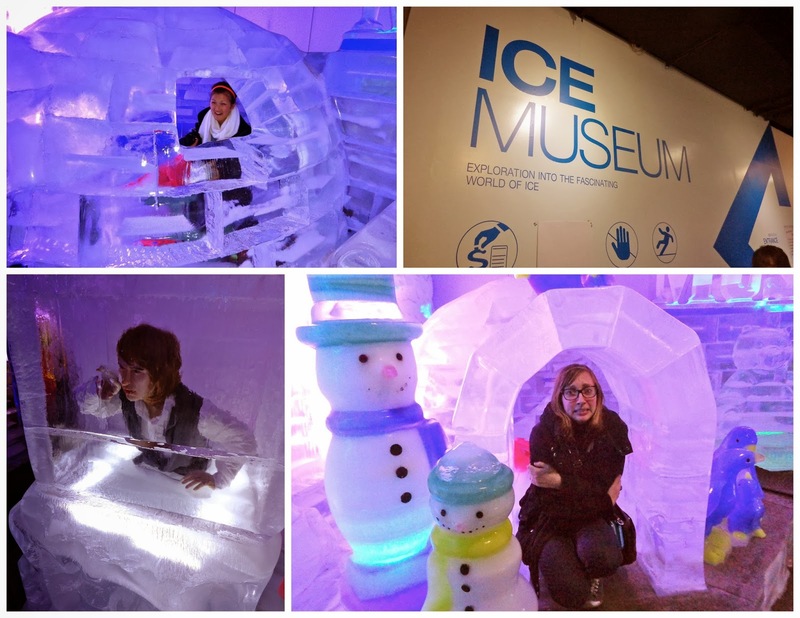 It was really fun, though don't be fooled by the photos -- it was kind of crazy inside. 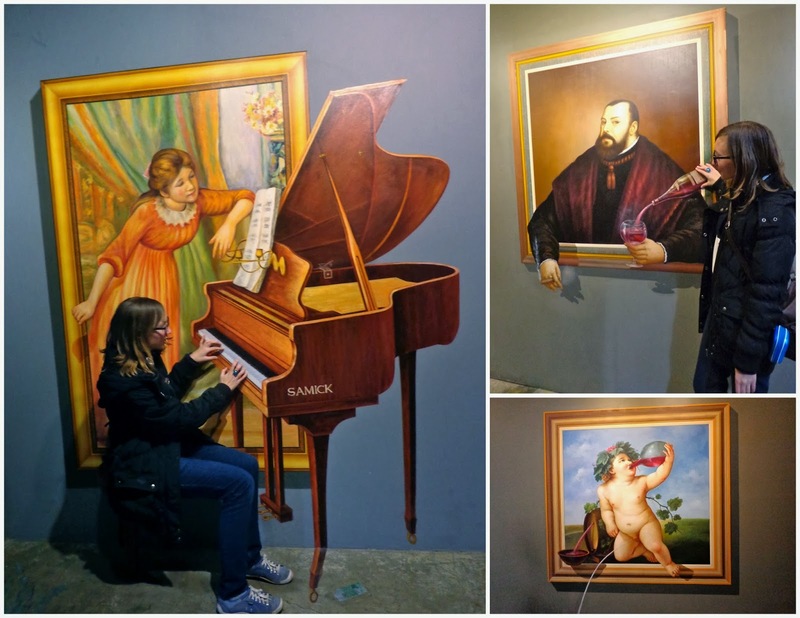 There's hardly any space between artworks, so you usually had to wait a little for your turn to take pictures. And when it was your turn to be photographed and your friend was ready with your camera, there would usually be someone blocking the shot - perhaps from the next painting, or another photographer backing up to take a picture of a different exhibit. There were stickers and tape on the floor to point out where you should take the photo so that it looked real (or 3D). 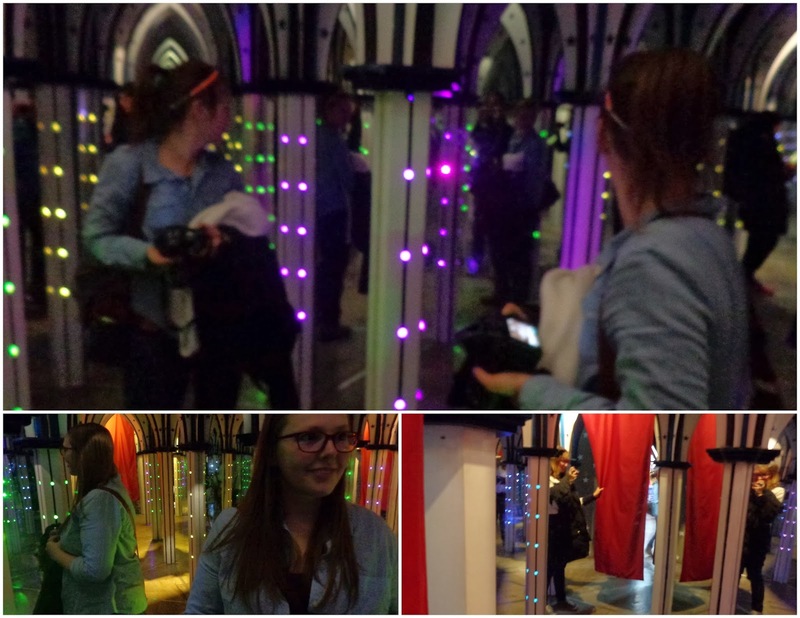 At the end of the museum you had to find your way through a mirror maze to the exit -- it was so creepy! I've never been in one of these before, and man did my heart pound! When I'd finally see Anne or Abby, I would see like 4 or 5 of them, and didn't know which one was real! I walked slowly so I wouldn't walk into a mirror. It took a little bit, but we finally found the red curtain to the exit! Included in our Trick Eye Museum tickets was admission to the Ice Museum just across the hall, so we checked it out afterwards. 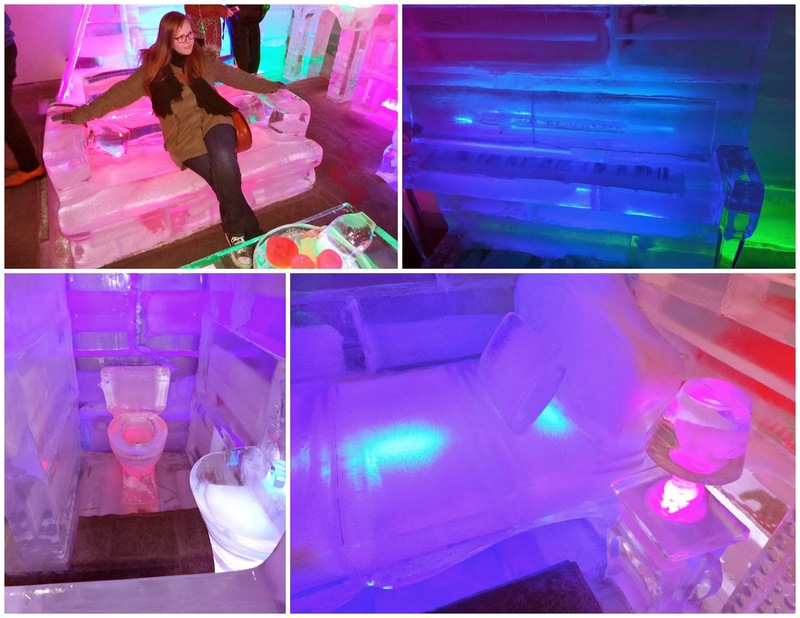 It's basically a giant freezer with an igloo, car, and house inside -- all made of ice. At the end there was a ice slide - with thin foam mats to sit on as you went down. Weeeee! Tips: If going in the winter, I'd recommend putting your coats into a locker before entering. We didn't do this and wished we had, but there's no re-entry with your ticket (so we had to keep them with us). I also recommend going at a time when you think other people wouldn't go; it'll be a more pleasant experience with fewer visitors inside. This is what the entrance looks like. 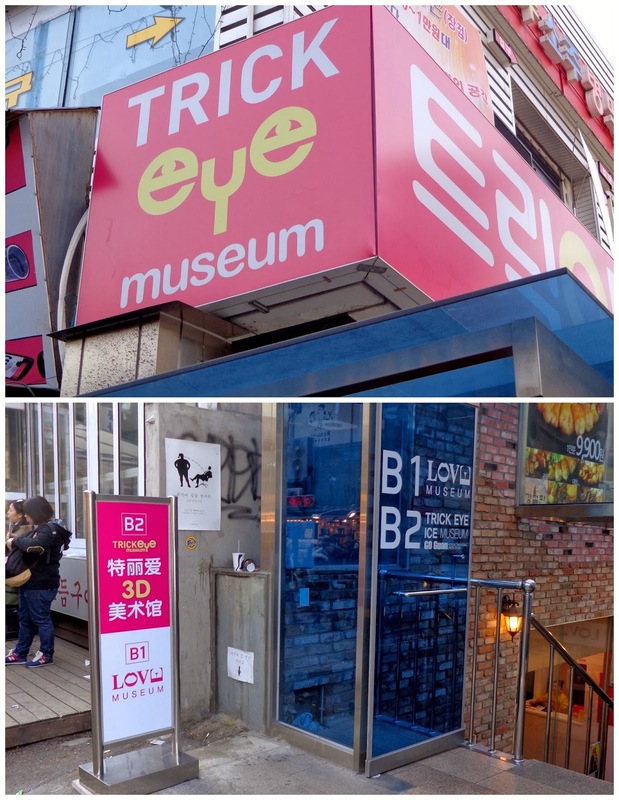 There's a "Love Museum" on the floor above the Trick Eye Museum (B1), so keep walking downstairs all the way to B2. That looks like MY kind of museum! 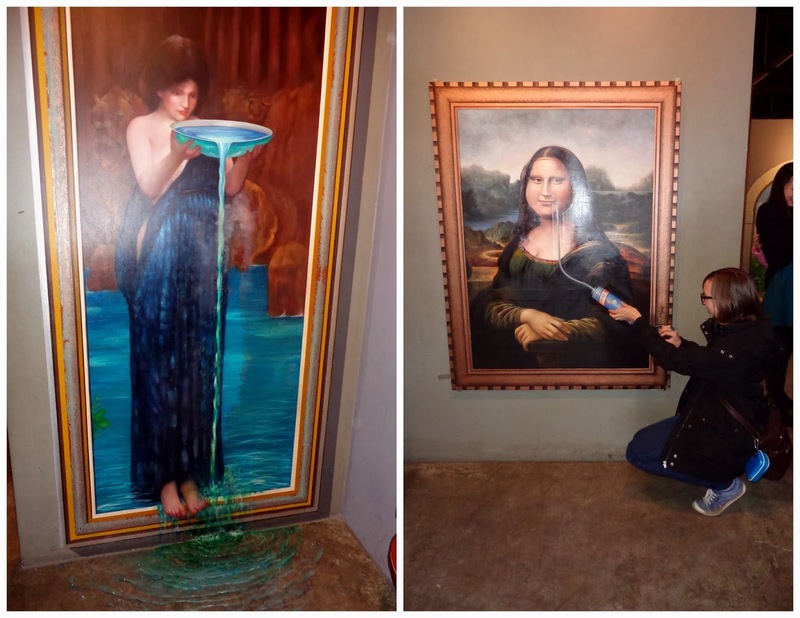 I love interactive artwork! How fun, though I believe it was every bit as hectic as you say. It was so neat! But yeah, unfortunately we were usually rushed by others waiting their turn, so there wasn't much time to play around and find the best pose for each picture. Still very much worth going, though!